Plath was an excellent poet but is known to many for this largely autobiographical novel. The Bell Jar tells the story of a gifted young woman’s mental breakdown beginning during a summer internship as a junior editor at a magazine in New York City in the early 1950s. 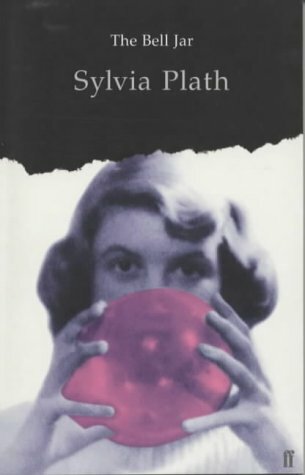 The real Plath committed suicide in 1963 and left behind this scathingly sad, honest and perfectly-written book, which remains one of the best-told tales of a woman’s descent into insanity. The Bell Jar is Sylvia Plath’s only novel. Renowned for its intensity and oustandingly vivid prose, it broke existing boundaries between fiction and reality and helped to make Plath an enduring feminist icon. It was published under a pseudonym a few weeks before the author’s suicide. You can read more about Sylvia Plath on the Sylvia Plath Homepage. There is also an interesting interview with Ted Hughes. Excerpt from Chapter One – from Barnes & Noble. An excerpt from The Bell Jar – read by Frances McDormand. The Real Sylvia Plath (Part 2) – from Salon.